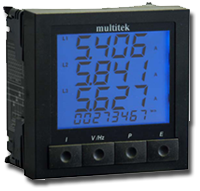 PC&S offers power meters for single phase or 3-phase digital metering systems, measuring and displaying up to 22 parameters. These low-cost, simple to use metering systems are ideal for use in switchboards, building management systems, generating sets, distribution feeders, medium and high-voltage control panels, etc. 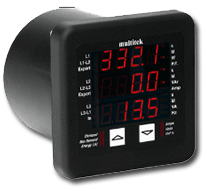 Parameters such as CT and PT ratios, demand times, calibration data can be set from the front control buttons. PC&S power monitors can measure frequencies up to 400Hz. All data is retained during power down conditions. 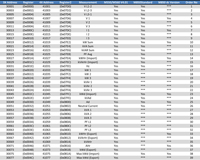 Security levels can be set to prevent unauthorized changes. 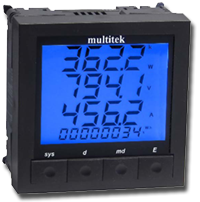 These PC&S power monitors also offer a communication option of either RS-232 or RS-485 (Modbus) protocol which enables the reading of up to 32 units on your various systems. 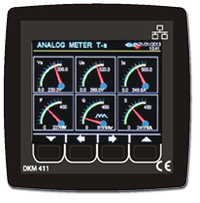 With free software, easy-to-read and understand displays, PC&S power monitors are ideal replacements for analog meters on AC or DC systems.